Maybe Microsoft just doesn't want to show any sort of favoritism to the platform that it created with the video service that it purchased. Or, maybe Microsoft has deeper integration planned, and would rather work towards that than adding a feature to an app. Whatever the reason, users on most platforms will be happy to know that Skype video messaging has graduated to a full feature on most platforms... except Windows Phone (and Linux). Of course, we're a mobile tech news website, so the Linux side of things don't really concern us. The real story here is that Skype has taken its video messaging feature out of beta and graduated it to prime time on Windows 8, Mac, Android, iOS, and even BlackBerry, but not Windows Phone. Video messaging has been in beta since February. The feature is exactly what you'd expect and allows users to leave video messages for someone who is offline, and that person can view the message when they come online. And, of course, video messaging is completely free. Not really, you seem to forget that if nokia is still on track right now, it's thanks to Microsoft's $1B investment. I fully agree with you on this! But my comment was directed to the last part of your comment. The EPIC FAIL here is that MicroSlow had Hotmail Messenger Video chat long before everyone else. It amazes me that there are still Windows Mobile die-hards out there that refuse to admit utter failure and defeat: move on people, get real smart phones. I love that Lumia 928 but, not with Windows on it and those stupid tiles!! No he didn't, I'm about as broke as Skype Video on Windows Mobile! So the company that's constantly attacking Google for not supporting WP, doesn't even give their own customers it's best stuff? Weak! And CaoticBUTTERKNIFE, don't even even think about replying! I'll say whatever I want about WP, good or bad! 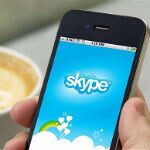 Microsoft should bring Skype video messaging for ALL OS at once. Why WP always last? Are they kidding their own customers? MS wants to make money without any effort and not delivering with a good product. this is the response the skype team gave wpcentral "“Windows Phone users can already receive and view Video Messages. We will inform you if we add send capability at a later date.” the keyword here is IF. i hope this is because of a later integration into wp8 that they have planned, but based on that response there's no telling if they will even do it. i'm pretty sure if symbian was still hot, it would have gotten this feature before wp8...imagine blackberry getting this before wp.. you own something and can't even work on your os before others..i'm so pissed cos they're dragging nokia back.